At approximately 00:05 A.M., Sunday, March 26, 2017, Antelope County Law Enforcement Center received a 911 call reporting a one-vehicle rollover accident near 851 Rd. and 515 1/2 Ave., near Clearwater. The accident was reported by a nearby resident and described as a roll-over with one occupant possibly still pinned inside of the vehicle. The Antelope County Sheriffs Office, Nebraska State Patrol, Neligh P.D. and Clearwater Fire and Rescue were all dispatched to the accident. The accident resulted in the death of one female occupant, Jayda Oligmueller, 18, of Pilger, NE, who was pronounced deceased at the scene. 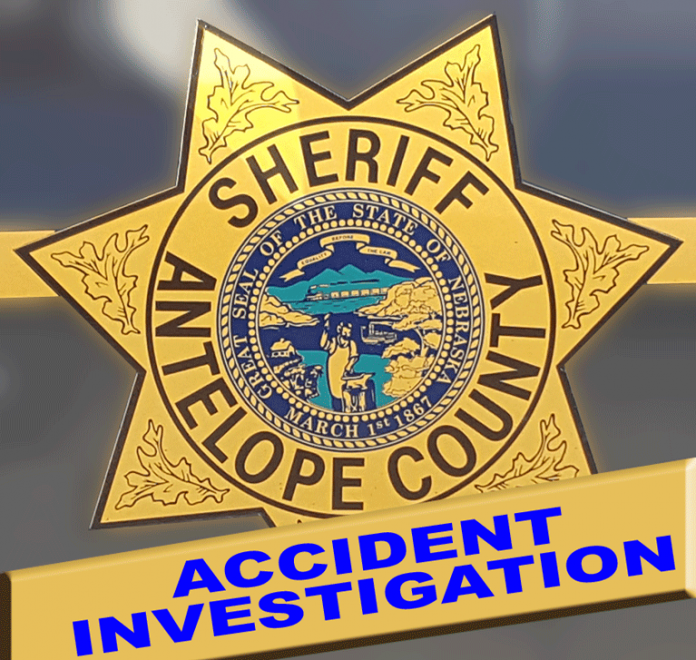 The other two occupants, Alyssa Meyer, 18, of Wisner, and Jodi Fry, 18, of Ewing, NE, were transported by rescue to the Antelope Memorial Hospital and treated for minor injuries and released. The cause of the accident is still under investigation by authorities, but is believed to be a result of the heavy fog in the area. It was also determined that seat belts were not worn by any of the occupants. **UPDATE: ACSD corrected the hometown of victim from Wisner to Pilger.